For years, the industry's largest players have struggled with stagnating markets and shifting consumer tastes. Now, they're fighting back by pushing into the cannabis industry as a potential engine for future growth. NEW YORK (AP) — In a story Jan. 17 about beer makers’ focus on cannabis companies, The Associated Press reported erroneously about the specifics of Molson Coors’ investment in cannabis products. Molson has an investment agreement with HEXO Corp., which calls its medical marijuana brand Hydropothecary. Molson holds a 57.5 percent stake in a joint venture with HEXO called Truss that is focusing on cannabis-infused products. HEXO owns the rest. NEW YORK (AP) — The makers of Budweiser, Coors and other large-scale brewers are placing their bets on cannabis as a way to fight saturated markets and shifting consumer trends. For years, the industry’s largest players have struggled with stagnating markets and shifting consumer tastes. 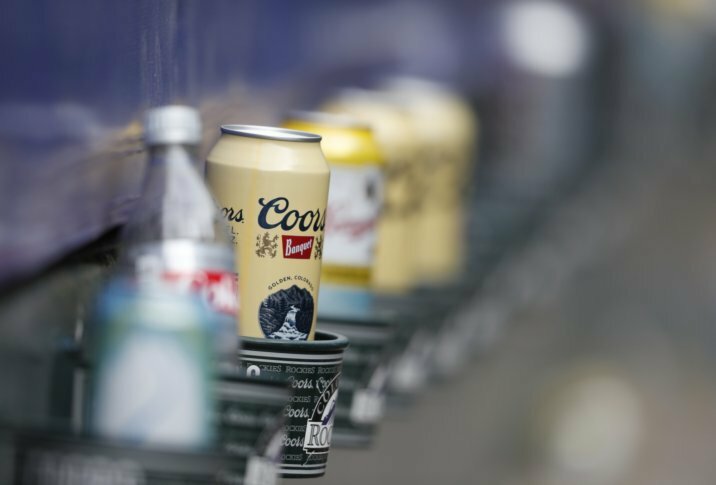 Anheuser-Busch InBev, Molson Coors and Corona brewer Constellation Brands have responded by buying up fast-growing craft brews. Anheuser-Busch’s 2011 purchase of Chicago’s Goose Island is one of the most emblematic examples of this strategy, which has helped big brewers maintain revenue and profit steady. But concerns over growth continue to hang over the industry. The craft beer segment of the industry has slowed considerably since 2016, however, according to trade association The Beer Institute. “This seems to be running out of steam now,” said Spiros Malandrakis, head of alcoholic drinks at market research provider Euromonitor International. While the same macroeconomic issues of saturated markets and consumers constantly looking for something new remain, the industry may have to contend with escalating trade issues and a market downturn that could cut into consumer spending. The larger players are fighting back by pushing into the cannabis industry as a potential engine for future growth. Anheuser-Busch said in December it would partner with medicinal cannabis maker Tilray Inc. to develop non-alcoholic drinks containing cannabis. Constellation raised its stake in Canadian cannabis maker Canopy Growth to 38 percent from 9 percent in 2018. Molson Coors holds a 57.5 percent stake in Truss, which is a joint venture with cannabis producer HEXO Corp. The new strategy is not without risks, however. Constellation shares recently took a dive, seemingly over concerns centering around its cannabis investment. Wall Street is cautious about the potential return on those investments, considering the legal hurdles that still need to be cleared in key markets, including the U.S.
Investors should soon get some insight into how several of these brewers’ cannabis plans are faring. Molson Coors reports its fourth-quarter results Feb. 12 and Anheuser-Bush reports results Feb. 28.